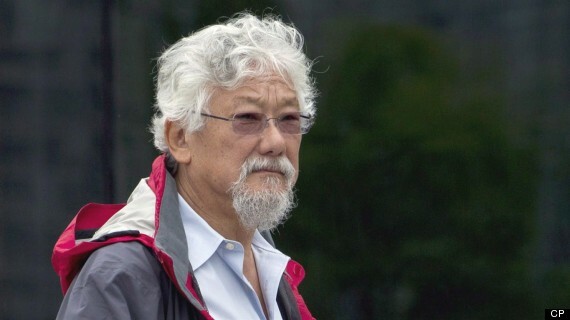 David Suzuki thinks inaction on climate change is serious enough to land you in jail — and he'd like to see former prime minister Stephen Harper behind bars. The prominent environmentalist said as much in an interview with Rolling Stone Australia that is featured in its February issue. 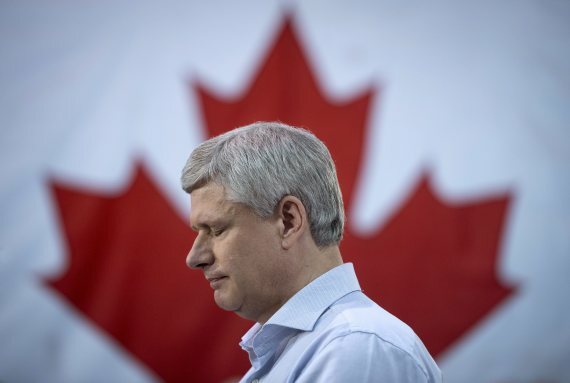 "I really believe that people like the former prime minister of Canada should be thrown in jail for wilful blindness," he told reporter Andrew Street. The response came in a Q&A that the magazine conducted with Suzuki ahead of his visit to Australia's WOMADelaide festival. But the Rolling Stone interview didn't mark the first time that the activist has suggested jail time for political leaders who don't act on climate change. In a 2008 speech at McGill University, Suzuki called on students to look for legal avenues through which to put politicians in prison if they ignore climate science, The McGill Daily reported. Referring to Harper and then-Alberta premier Ed Stelmach, he said, "It is an intergenerational crime that in the face of the work of scientists over the last 20 years, they keep dithering as they are." Suzuki was comparatively complimentary of Justin Trudeau and the Liberals in the Rolling Stone interview, calling it a "huge thing" that the party was elected to a majority government. "We've had 10 years of a government that was so oppressive regarding environmental issues," he said. 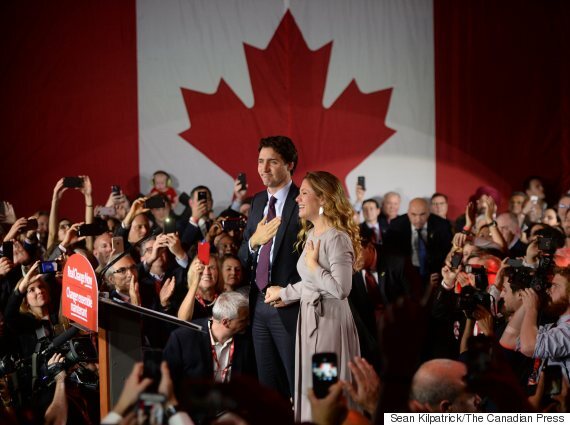 "I was going to book a one-way ticket to Mars if Harper was re-elected." Those remarks are a shift away from how Suzuki spoke of Trudeau during the election campaign. Suzuki told SiriusXM host Evan Solomon that the Liberal leader sought an endorsement from him in July but the conversation went south after he told Trudeau he was "all over the map" on climate change. "He said, 'I don't need to listen to this sanctimonious crap,'" Suzuki quoted Trudeau saying. The activist then admitted to calling Trudeau a "twerp." 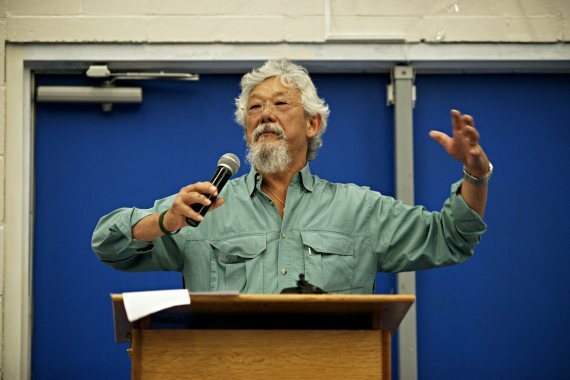 Suzuki gave another controversial interview to Solomon in November, in which he compared the oilsands to slavery. Suzuki said the idea that pricing carbon will hurt jobs "sounds very much to me like the southern states [which] argued in the 19th century that to eliminate slavery would destroy their economy." "It's a moral issue," he said. "The issue of slavery was not an economic issue. The issue of climate change is not an economic issue." In 2014, Canada ranked dead last among OECD countries in a "Climate Change Performance Index" during Harper's time as prime minister. The index, which was published by Germanwatch and Climate Action Network Europe, measured countries based on factors including renewable energy, emission levels and climate policy. Its rankings came as The New Republic labelled Harper and former Australian prime minister Tony Abbott "Earth's worst climate villains."